Angus Energy Plc (AIM:ANGS), a leading UK conventional oil and gas production and development company, announces that its Managing Director Paul Vonk has resigned from office with immediate effect. Following his resignation, the Company has today appointed George Lucan to the Board as interim Managing Director. Accordingly, the Company has received letters of withdrawal of the Requisition Request initially received on the 9 January 2019. The Company has also, in conjunction with these Board changes, appointed Beaumont Cornish Limited as the Company’s Nominated Adviser and W.H. Ireland Limited as Broker with immediate effect. Furthermore, the Board provides an update on the Company’s operations. The Company has received a retraction of the requisition of the General Meeting from the beneficial holder of the 23,000,000 ordinary shares of £0.002 each in the Company (“Shares”) held by HSBC Global Custody Nominee (UK) Limited a/c 970877 (as the registered holder), being the principal requisitioning shareholder, representing in total approximately 5.7 per cent. of the Company’s issued Shares carrying voting rights. Accordingly, the requisitioned General Meeting will no longer take place. As noted above, Paul Vonk has resigned as Managing Director from the Board with immediate effect. The Company has today appointed George Lucan as Executive Director and interim Managing Director. The Company has agreed to appoint Carlos Fernandes, currently non-Board CFO, as Finance Director, subject to satisfactory regulatory checks. In addition, the Company is actively working on the appointment of an independent Non-Executive Chairman, at which point it is expected that Cameron Buchanan, currently acting Chairman, will resume his role as a Non-Executive Director. Chris De Goey will stay on as Non-Executive Director to help oversee the transition. It is also intended to appoint to the Board Andrew Hollis, currently the Company’s Chief Technical Officer and an experienced Exploration and Production Manager following 23 years at BG International. As stated above, George Lucan will act as interim Managing Director pending the Company’s continuing search for a permanent appointment with industry experience to develop the Company’s business beyond its current core strategy. George Lucan is an experienced finance professional with over thirty years’ behind him in debt and equity markets. After graduating from Cambridge University, he began his career at Dresdner Kleinwort Benson where he spent 10 years, mainly within the Structured Finance team, and continued in alternative fund management, most recently with Rudolf Wolff Limited. He brings, in addition, private equity experience in the fields of energy and alternative energy. As an Arabic speaker and accredited Islamic finance specialist with extensive knowledge of the Middle East, George brings other contacts and opportunities to the Company in the energy sphere. Currently training for the Advanced Certificate in Corporate Governance with the Governance Institute, George will also have a special focus on transparency, shareholder relations and governance matters in general. George will join the Nomination and Audit Committees. Full disclosure as required by AIM Rule 17 on George Lucan are set out at the end of this announcement. 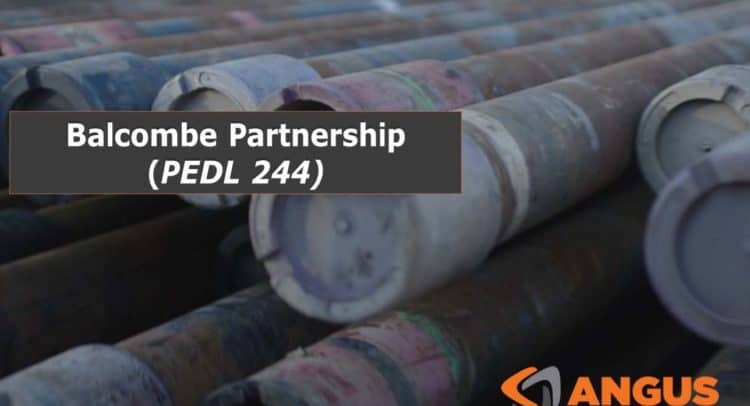 · continue production at Lidsey at the currently achievable rates of 20-40 bopd whilst investigating feasible ways to improve well performance on this field. As regards the Company’s ongoing investigation into the events surrounding Jonathan Tidswell-Pretorius‘ share dealing and resignation from the Board as announced on 6 July 2018, the Board has been pursuing its investigation with the Company’s legal advisers and expects to draw this to a conclusion shortly. In light of the significant board changes, however, it is appropriate for all members of the newly reconstituted board to have the opportunity to consider the relevant information. A further announcement will be made in the near future. Chris de Goey, a Non-Executive Director of the Company, who has over 20 years of relevant experience in the oil and gas industry, has approved the information contained in this announcement. Mr de Goey is a member of the Petroleum Exploration Society of Great Britain and the Society of Petroleum Engineers. There is no further information to be disclosed in relation to George’s appointment pursuant to AIM Rule 17 or paragraph (g) of Schedule Two of the AIM Rules for Companies.